On Friday 10th February 2012 film expert Dr Jonathan Murray was at the Robert Burns Centre Film Theatre in Dumfries to introduce a rare big screen outing for the 1983 Scottish comedy-drama Local Hero. Originally from Dumfries, and one time assistant projectionist the Film Theatre, Dr Murray now lectures in Film and Visual Culture at Edinburgh College of Art where his primary research interests are Scottish culture and contemporary British cinema. He also has written regularly on the contemporary world of cinema and Scottish film culture, past and present, for a range of international publications He has published many works on the subject of Scottish Cinema and his most recently published book is titled Discomfort and Joy: The Cinema of Bill Forsyth (Peter Lang, 2011). Dr Murray’s presentation informed his attentive audience that writer/director Bill Forsyth is the most important filmmaker that Scotland has to date produced. He went on to say that Forsyth was a vital figurehead for the tentative late-1970s/early-1980s emergence of an indigenous Scottish cinema. Any Scottish filmmaker has arguably, not matched the distinctive and subtle nature of his directorial style, one capable of making comedy and a profound melancholy coexist on the cinema screen, since. His presentation explored the key characteristics of Forsyth's writing and directing practice, and argued that the enduring significance of this filmmaker's work extends far beyond his native shores. Peter Capaldi, Burt Lancaster, Peter Riegert, Fulton Mackay and Christopher Rozycki. Tonight’s film is in the great tradition of Alexander Mackendrick’s Whiskey Galore (1949) and The Maggie (1954) and Powell and Pressburgers classic 1945 film I Know Where I’m Going. Local Hero has a very simple but endearing story line. The Knox Corporation based in Texas wants to build an oil refinery in place of a picturesque Scottish fishing village, Ferness and its accompanying shoreline potentially turning the existing inhabitants into millionaires. They send over a young hotshot negotiator, Mac Macintyre (Peter Riegert) to purchase the required real estate, a type of man that would never put sentimentality before business, or would he? 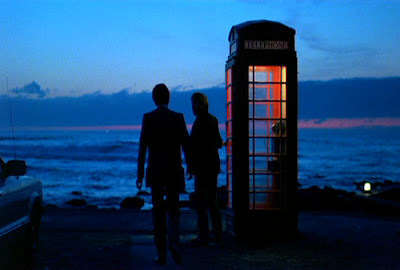 The film was a great deal better and funnier, than I remembered, a comedy sure enough, but heartfelt and sad. 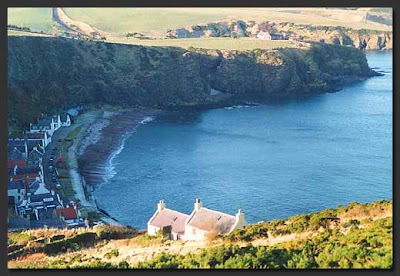 The village of Pennan where the film was made. 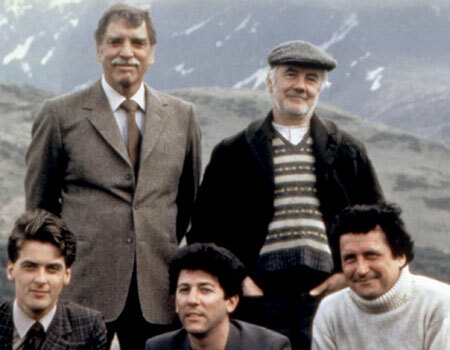 With its great characters and clever screenplay Local Hero was the high point of Bill Forsyth's career of only eight films in twenty-three years. None of his subsequent films would achieve the same level of critical and popular acclaim, two unsuccessful films made in America, another film he was reputed to disown and finally Gregory’s Two Girls (1999). When I asked Jonathan Murray why he did not make more films he told me that Bill Forsyth was a shy man but had continued to write, perhaps one day someone will turn one of his manuscripts into a further film. Colin Vaines spoke of Forsyth's unique style: a combination of offbeat humour, precise observation of character, considerable warmth and charm, and an underlying seriousness. Which really sums up Local Hero. Thank you RBCFT for an opportunity to re-evaluate this splendid movie. Thanks to Alec Barclay and YouTube.